During my research fellowship at the Max Planck Institute for the History of Science in Berlin I studied the overlap (or lack thereof) of knowledge about making coloured and stained glass in artisanal versus medical circles in the eighteenth century Netherlands. Although it turned out that much of this knowledge was so tacit that it was never put down in writing properly, I found one remarkable boundary object, or rather a boundary material or ingredient: antimonial glass, or vitrium antimonii. Antimony is a lustrous grey metalloid, that occurs in nature as the sulfide mineral stibnite or antimonite. Roasted in an iron pot, it turns into antimony. Known since ancient times, the name is derived from the Greek anti-mono, meaning ‘not alone,’ because it does not occur in its pure form in nature. 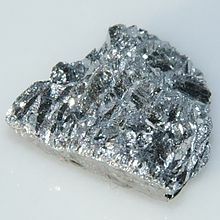 Because of its natural occurrence, colour and melting point, antimony was often confused with stibnite or lead. To add to the confusion the Dutch/German word ‘Spiesglas’ sometimes seems to refer to crude antimony, and at other times to antimonial glass. Moreover, the processes for creating glass of antimony and subsequently a red pigment from that glass, as described in Basil Valentine’s 1604 Triumphal Chariot of Antimony, are anything but straightforward. Antimony is toxic for humans, and in early modern medicine it was sometimes employed in antimony cups, about which I have written before. Yet antimony could be transformed into other forms, and was thus used in both early modern visual arts and medicine. Although the exact origins of the recipes are unclear, by the seventeenth century, antimonial glass was generally understood as a clear, yellow or red vitreous substance made from calcined (powdered and roasted) antimony. This ‘glass’ was subsequently powdered and both used as a pigment in glass paints and solved in wine as a very strong emetic, a purge. The transformation from a silvery (mercurial) substance into something yellow or red (sulfurous) played a central role in alchemy, and was even associated with the secret to the Philosopher’s Stone, which could either transform all metals into gold or contained the secret to the universal panacea. 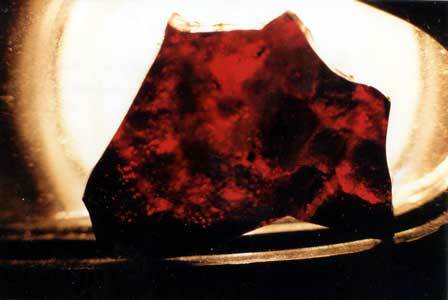 This characteristic of silvery antimony transforming into yellow or red antimonial glass partly explains the popularity of such a toxic material. According to Leiden professor of medicine, chemistry and botany Herman Boerhaave (1668-1737), the symbol for antimony: “Denotes a chaos, χάος, world, or one thing which includes all: this is the character of antimony; wherein is found gold [the circle symbol], with plenty of an arsenical corrosive [the cross at the top].”About antimonial glass he remarked “The glass of antimony is almost mortally emetic; and when infused in wine, that is not considerably acid, it renders the liquor vomitive, without any great loss of its substance.” Antimonial glass remained a popular ingredient for purges well into the nineteenth century, as shows from various apothecary and medical handbooks, as well as a pigment. Only with the rise of synthetic pigments, bacteriology and antisepsis does it seem to have disappeared from art and medicine. 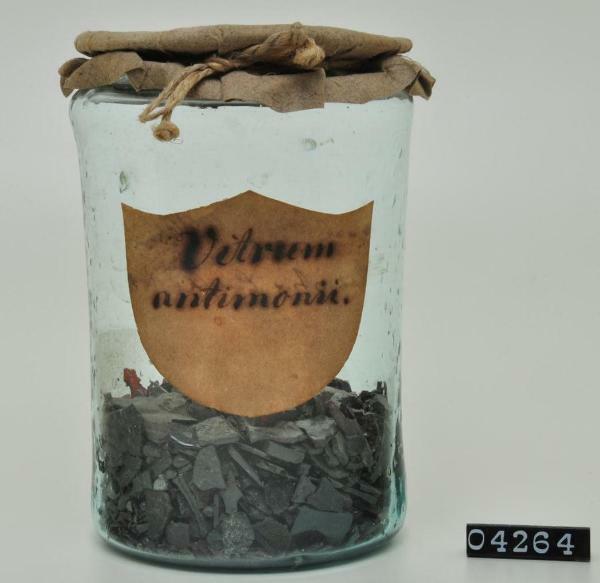 Sample of supposed ‘Vitrum antimonii,’ probably eighteenth century. Source: Pharmaziemuseum Brixen, Italy. With this disappearance, precise knowledge about the highly toxic process of creating antimonial glass disappeared as well. Fortunately there are people like history of chemistry professor Lawrence Principe, who reproduced many alchemical experiments and processes, amongst others that of making antimonial glass. Principe discovered that antimonial glass can only be produced from stibnite ore containing some quartz, not from pure antimony – the quartz is essential for the vitrification of antimony. Without the quartz, the process results in dull grey lumps. A sample of supposed antimonial glass, probably from the eighteenth century, shows that there were apothecaries in Boerhaave’s time who already failed to understand this. Similarly, many apothecaries and artisans will have failed to produce a red pigment from glass of antimony, as Principe shows that it was not the antimony, but the residue of iron instruments that gave a preparation of antimonial glass and vinegar its red colour. It is this kind of reconstructive research that is essential to truly understand the complexities of early modern artisanal and medical knowledge. Herman Boerhaave, Elements of Chemistry, vol. 1, 68, and vol. 3, 322-3. Principe, Lawrence M. The Secrets of Alchemy. Chicago: University of Chicago Press, 2012, 90, 142-3.